All fruit is grown on our award-winning family farm in South Herefordshire. Find out more about Our Farm. Our farm specialises in growing the finest varieties of soft fruit that are bursting with flavour. We are proud to of won many accolades including UK Soft Fruit Grower of the Year in 2016, learn more here. The sun-ripened soft fruit is picked at the height of the season at optimum maturity when the flavour is at its best. It is then individually quick frozen to lock in the flavour, freshness and nutritional content. Once frozen the fruit is inspected and whole berries are hand selected into the punnet, ensuring no crumbled fruit are in the punnet. This means the fruit can be defrosted and used to finish many delicious desserts. Freezing fruit neither adds or takes anything away – when defrosted it is still as healthy and nutritious as the day it was frozen. The individually quick frozen fruit is inspected, packed, heat-sealed, sleeved, boxed and labelled in our state of the art 2000-tonne capacity packhouse at Windmill Hill, purpose built in 2007. 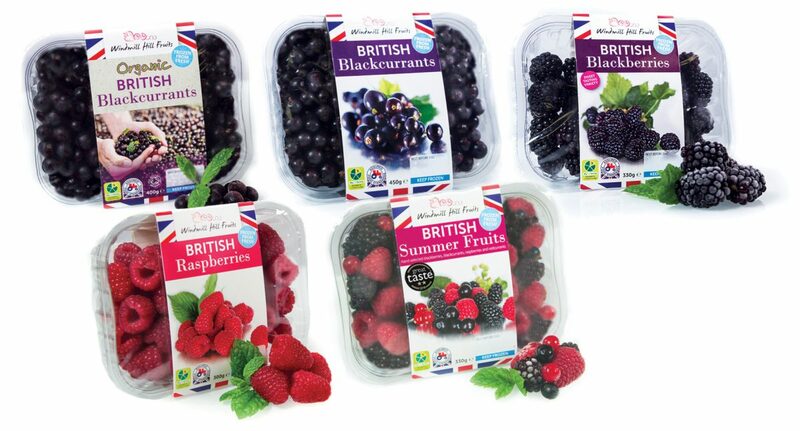 To purchase our quality frozen fruit in bulk format all year round for delivery direct to your door please visit our website : www.britishfrozenfruits.co.uk .